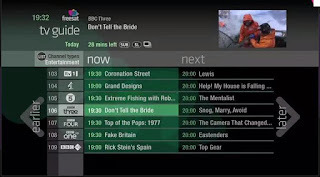 Freesat has started to offer its connected TV guide to other providers, with Italy's Tivùsat its first customer. The Freetime EPG, first introduced in the UK in 2012, will be offered to terrestrial, cable and satellite TV operators under the name "Metaphor". The TV guide can be provided exactly as it is, or it can be tailored to fit specific operator requirements. Freesat says that the easy customisation of the service "will ensure that costs are competitive for potential partners." Freesat confirmed at the IBC event in Amsterdam that its first commercial agreement has been finalised with Italian free satellite operator tivùsat, for its new service, tivùon!. Both Freesat and Tivùsat are part of the Free TV Alliance, a network of satellite TV providers working to harmonise standards.